Since joining GAR as CEO, Downstream and Commercial, at Golden Agri-Resources (GAR), in late 2012, Hemant has played an important role in the company’s transition to a leading global supplier of responsible palm oil products and all its derivatives. Bringing more than 25 years of global commodity experience to GAR, he manages globally diverse downstream activities including Merchandising and Risk Management, Industrial Operations, Consumer Products and Specialities, Renewables, Supply Chain and Logistics, for all Downstream Business Units and Joint-Ventures, to ensure growing end-to-end capabilities and synergies for GAR. 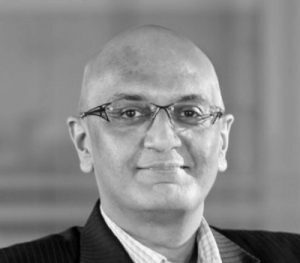 Prior to joining GAR, Hemant was CEO at Louis Dreyfus Commodities Asia (LDC) and a member of LDC’s Global Executive Group.